Instagram-worthy date ideas that can get you started in the beautiful city of Buffalo. Love conquers all and so does fear of heights! Go and get your love challenged in the two-ropes course in Buffalo Riverworks for only 20$ on the lower course. But if you feel the adrenaline pumping up you can add another 10$ for the upper course. 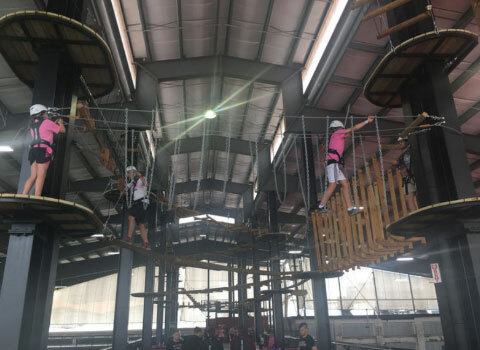 The activity would last for an hour and that includes a zipline on your way back! 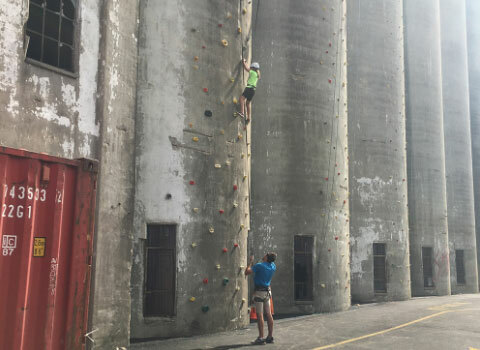 Another way to give in to the “catch me I’m falling” tagline is the recently opened rock climbing activity on grain silos with an easy, medium and hard wall which is up to 50ft! Not only is it a fun way to find your balance but also a great workout for only 7$. Fun and exercise - who wouldn’t love that? 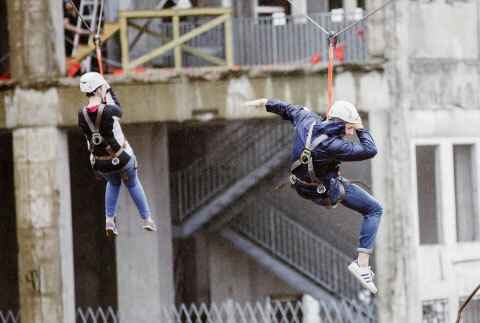 You can also try a ‘Dauntless’ initiation type of thrill like Tris in the movie DIvergent, with the newly opened zipline on 4 courses which travel from Six Cans Brewery to “The Bunker” and a rope bridge to cap-off the fun! Get your hearts pumping with these great activities and visit them at River Warrior | 359 Ganson St. Buffalo,NY. Operation hours starts at 11:00 AM-07:00 PM. Reservations for the two-ropes course must be 24 hours in advance. Mukbang or “eating broadcast” is a concept which originally came from Korea where people eat large amounts of food in front of the camera. You and your partner can challenge each other by trying out great food from the food trucks of Larkin’s Square. Filming this challenge will not only capture some good memories but can serve as something to watch in the future. 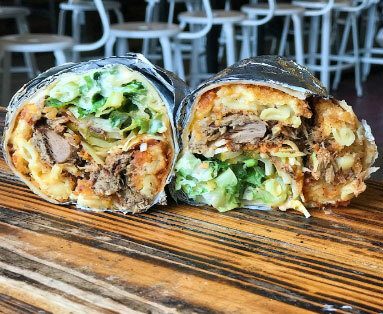 You can start off with a 5 burrito mukbang challenge out of the best-seller options in the most famous Lloyd Food Truck in Buffalo. Price starts at $7.99. Who knows? A kiss would be a great reward - Just saying! Winning in a ‘mukbang’ challenge may result in some extra calories but losing them through a kayak race is an excellent option. Elevator Alley Kayak offers single kayak rentals for $25 for 2 Hours. You can also boost your trust with each other on a “Bird Box Challenge” by availing yourself of Elevator Alley’s Tandem Kayak (2 in 1) for 45$. 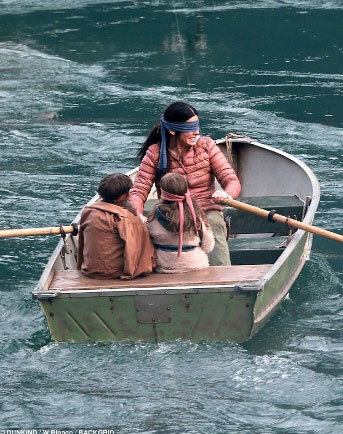 It’s a challenge inspired by the Netflix movie ‘Bird Box’ where people wear blindfolds and trust the voices of their companions as to where to go and what to do. No doubt every step you’ll take, bae will be watching you. 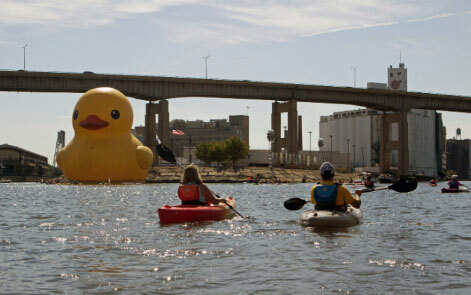 Elevator Alley Kayak is located at 65 Vandalia st. (near Hamburg St. and Republic St.). 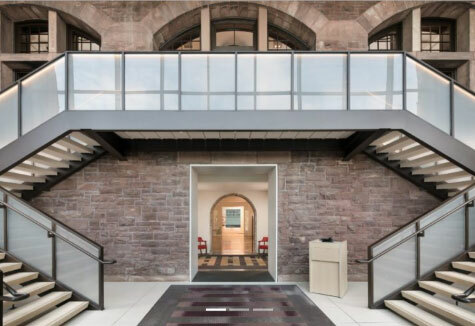 4 - Staycation in the ‘asylum turned luxury hotel’ architectural masterpiece in Forest Ave. Witness the reformation of the previously deteriorating landmark which came back to life as Hotel Henry, formerly known as the Richardson Olmsted Campus. 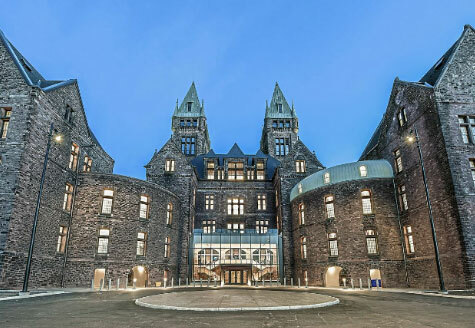 Started in 1880 as the state-of-the-art Buffalo State Asylum for the Insane, the place is embellished with the Romanesque style by Henry Hobson Richardson, one of the “trinity of American Architecture”. Recently opened to the public last year, dining in this significant location will definitely give you an extraordinary experience with either a chill or a thrill. Check out their website for bookings: www.hotelhenry.com. Wouldn’t it be nice if you could ask anything of your bae for a day? 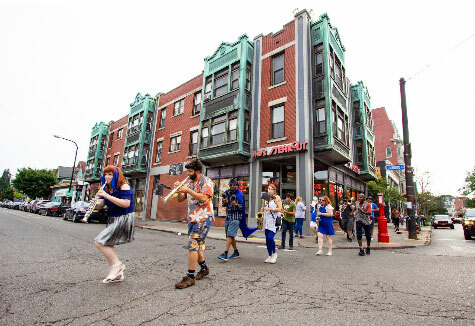 Allentown, as the art hub of Buffalo would be a creative place to kick-off the challenge. Your time together could either be full of laughter or you could enjoy watching your bae’s annoyed-but-cute face while making him/her sing with the local artists. Well, if he/she gets too annoyed, you can ask him/her to destress in creative galleries which open every first friday of the month, also known as the “Gallery Walk”. You can never go wrong with music to pacify someone’s moodiness by jamming and boozing with the local music in town. One great venue is Nietzsche’s located at 248 Allen St.
Another way to go down memory lane is by trying the infamous sponge chocolates of Parkside Candy. This is a great opportunity for pairs to recount those childhood memories in every bite of these fantastic goodies. Taste a bit of history and be part of this old but gold Buffalo landmark. Visit their store on 3208 Main Street. Visiting in the winter? Cuddling in a chute is also another romantic adventure you can spend with your loved one. 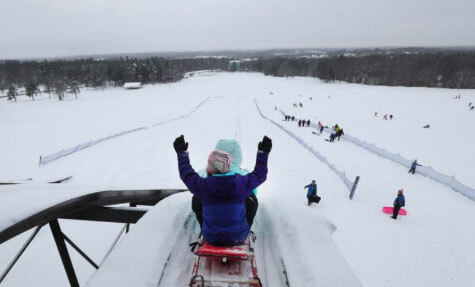 Every winter Chestnut Ridge opens great winter activities and tobogganing is something you shouldn’t miss. 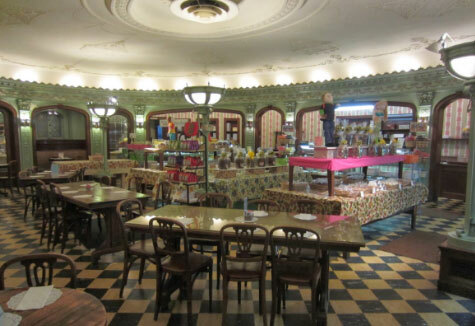 This Instagram-worthy ritual is still preserved since the 1930s and was closed for 5 years for renovation and repairs. Luckily, it reopened again in 2010 which is a great news for couples to try this fun activity as most of the tobogganing parks around were already closed. As long as the snow doesn’t bother you, it’s not too late to try this activity. You can rent out a chute for 40$ a day or 15$ an hour but if you have your own chute it’s free! 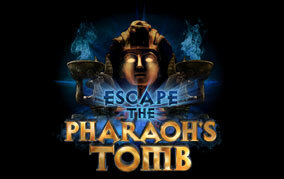 8 - Start your date night by testing your teamwork and survival skills in an exciting Escape Room Adventure! 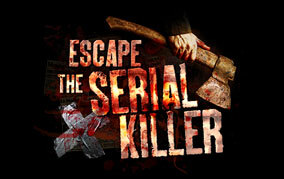 May it be a realistic scene with zombies or being chased by a serial killer, thrill should definitely be part of your date night in Buffalo! Not only will it test your survival skills but also your team work as a couple. 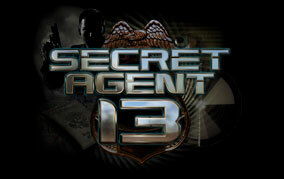 You might also get a chance to discover new things about your partner like… an inner ‘Sherlock Holmes’ or ‘Indiana Jones’. Locked-up Escape Rooms in Cheektowaga can get you started. It would be a great way to work out your brain by finding clues, keys and solving puzzles with time constraint. 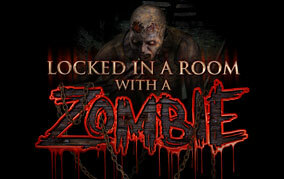 Locked-up Escape Room’s games last for an hour and every second that passes can really make you desperate to escape. This is also a fun night-out for a double date, so ask your friends out and have your first escape room date night! For bookings you may call 716-221-0723. Operating hours are 11:00 AM- 11:00 PM. 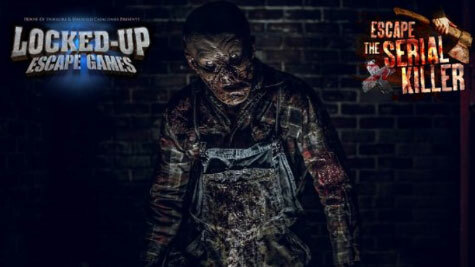 Location: 3637 Union Rd, Inside House Of Horrors and Haunted Catacombs Behind Sonic Drive In, Cheektowaga, NY 14225-5100.